We are naturally drawn to watching the seasons and noticing the changes all around us. Autumn’s signpost can be found all around, in every leaf and flower. 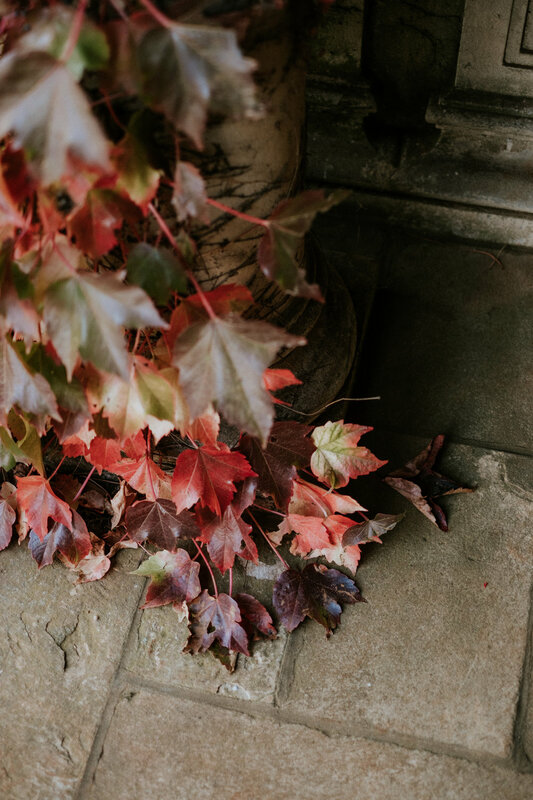 From the stunning autumn blaze/burgundy/mustard colours we will see in our trees, consider the other subtler changes… some leaves just show a tiny hint of blush through their green leaf or a muted gold as the cool starts to set in. Image by photographer Van Middleton at beautiful Bendooley Estate in Berrima, Southern Highlands NSW. Tempting and inspiring as it is to follow trends, perhaps it is time to take a minute, listen to your own heart and fully embrace your wedding season and allow nature to be your guide. Now, this doesn’t mean you have to make obvious choices that reflect the well-known pictures we are all familiar with. 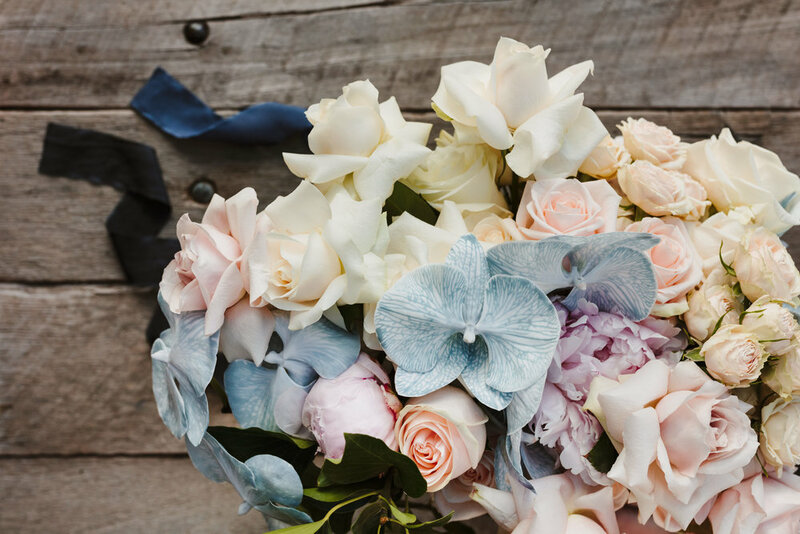 Instead it is an opportunity to bring the colour palette and textures that you are dreaming of for the big day and ask your florist what works best with the season you have chosen for your ‘I Do’. I promise, it will be worth it and also a really beautiful and enjoyable way to enter into the design process. End of Autumn moody bouquet of roses, ranunculas, dahlia, snowberry, orchid, sedum and begonia leaf. Photograph by All Grown Up Weddings. Working seasonally also means creating floral designs with the strongest available products that are at their very best. Flowers that are auditioning for this seasons starring role will call out to you ‘pick me, I’m yours’. In return, every year when you celebrate your wedding anniversary you will be rewarded with the beauty all that was around you on that special day. 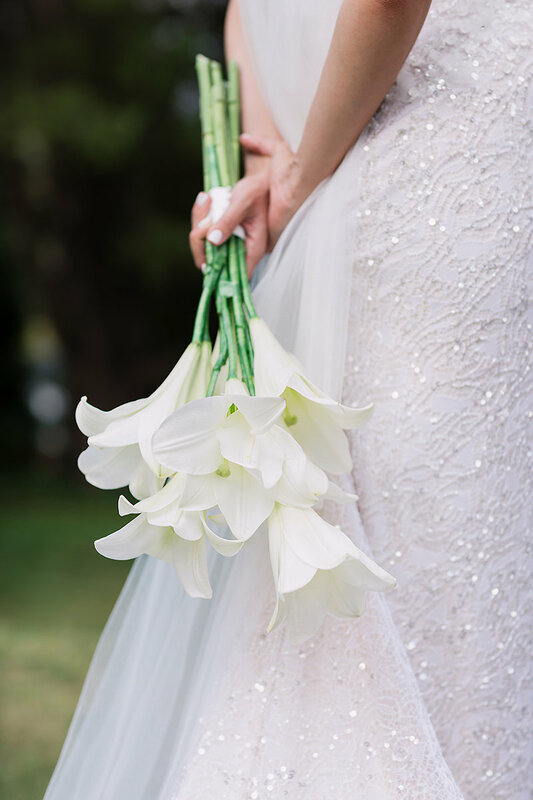 Many of my Brides have written to me the following year when they have noticed flowers from their bouquet growing around them in gardens and also perfumes that drift through the air taking them back to that day. Zinnias, roses, flowering gum, tulips and dahlias - a candy inspired early Autumn bouquet. Photography by Bear Deer Fox. So how do you know what is in season where and when you are getting married? Well, it just so happens that we florists seem to be obsessed with this topic and truly love to show you all the beauty you can have. Believe me, there is no time of year that does not hold its own incredible seasonal beauty stamp. We have so many exceptional flower growers and farmers in this country that are consistently delivering beautiful blooms all year round. There is also an opportunity in this modern age to look into what flowers aren’t available locally and to dream of distant far away fields…perhaps splash out on that certain imported bloom you love, look to pairing it with a seasonal design will give you the very best your heart desires. Elegant repetition of longi lillies and a perfume that will always be remembered. Photography by Milenko Weddings. So, when are you getting married and where? Who will unlock all those seasonal secrets for you and show you all the overwhelming beauty you can have for your wedding day? Look for designers that work locally in the area you are getting married in, that have years of experience of watching and working with the local seasons. Find a seasonal flower you love, that has a perfume you can make your own. Seek a designer that you can connect with and open up a floral world that will delight you, communicate your hearts desires and then listen to the line-up of beauties that want to put on a show for you and then be there, every year to remind you that you chose them. An unexpected and stunning palette of orchid and rose. Photograph by Hilary Cam. There are so many Autumnal Australian wild and natural delights in season but a few of my favourite floral cast members are roses, sedum, hydrangea, snowberry, tulips, narcissus of all varieties, amaranthus, sweet pea, pierus, daphne, seaholly, hyacinths, nerines, longi & calla lilly, and cyclamens, Then there are all the incredible accent foliage’s like smokebush, camellia, vibernums, gumnuts and eucalypt with the stunning ornamental fruit trees giving us those gorgeous autumn colours…..the list goes on, we need to talk – there is so much to show you! Grid photography by…. from top left onwards… Bear Deer Fox, Hilary Cam, Gui Jorge, Jason Corroto, Milenko Weddings, Tealily Weddings, Milenko Weddings, Fiona & Bobby, Damien Milan, Hilary Cam, DA Photography, All grown Up Weddings.